This year AIM Services, Inc. and Shelter of Saratoga will partner to support individuals of diverse abilities and people who are facing homelessness. Through your generosity and the collaborative “Power of Partnership”, AIM Services, Inc. and Shelters of Saratoga can provide those in need with access to a variety of services and a real chance to live with dignity and respect. $140 Registration Fee (per player) Includes: Green Fees, Cart, Lunch, Buffet Dinner with Carving Stations, “Beverages”, and great prizes awarded for Top-Scoring Foursomes. 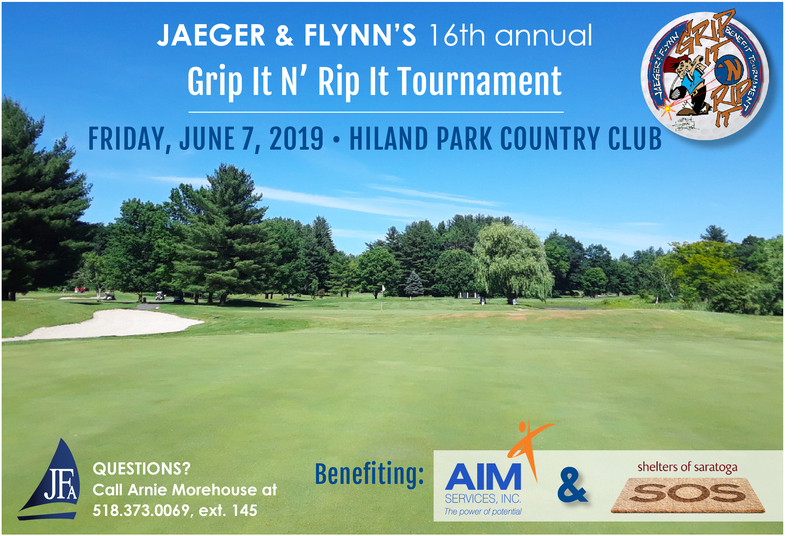 Plus: Our Annual Hole-In-One Contest, Longest Drive, Closest to the Pin, Wager Hole, Skins Game, Putting Contest 50/50, Poker Run… and plenty of fantastic raffle items.